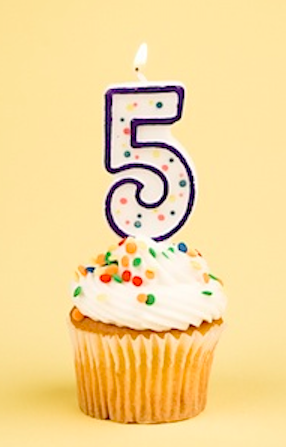 Happy 5th Anniversary to the eighteen and life blog! Thank you for popping in now and again to see what is on my mind and for offering words of encouragement. As I think back over the last half decade, I smile to think of the new friends in my life and the completion of major projects. For your reading pleasure, I have gathered a few articles that you may have missed over the last week. University of Kentucky using student data analytics to improve retention rates. SMU created this video on why to consider a grad program in higher ed. Interesting piece on class-sourcing as a teaching strategy. A study showing that college faculty are increasingly using social media. Brutalist architecture style on college campuses. Twitter becoming more popular with teenagers. PS. Also, wishing Happy 1/2 Birthday to my dear daughter! This entry was posted in class activity, college freshmen, critical thinking, Facebook, first-year seminar, higher education, residence life, student affairs, Twitter and tagged higher ed, Student Affairs. Bookmark the permalink. ← If it wasn’t hard, everyone would do it.